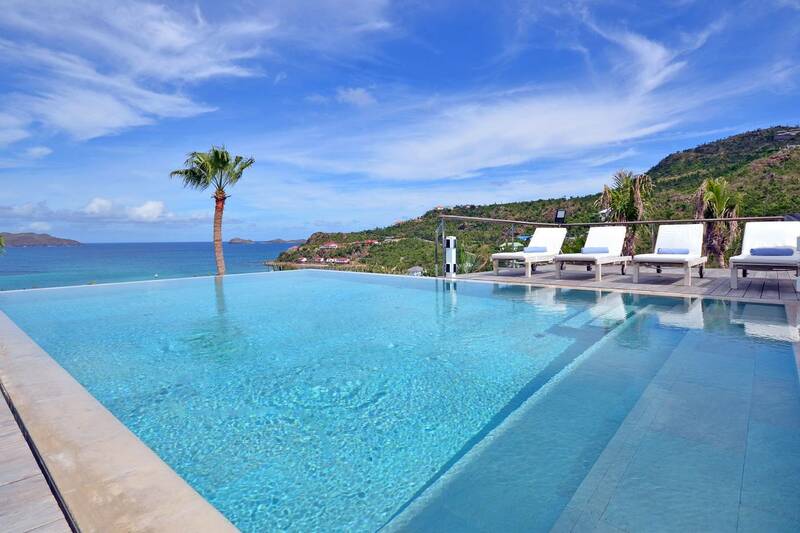 Dream About: Relaxing by your infinity pool and reveling in stunning views of St. Jean Bay. 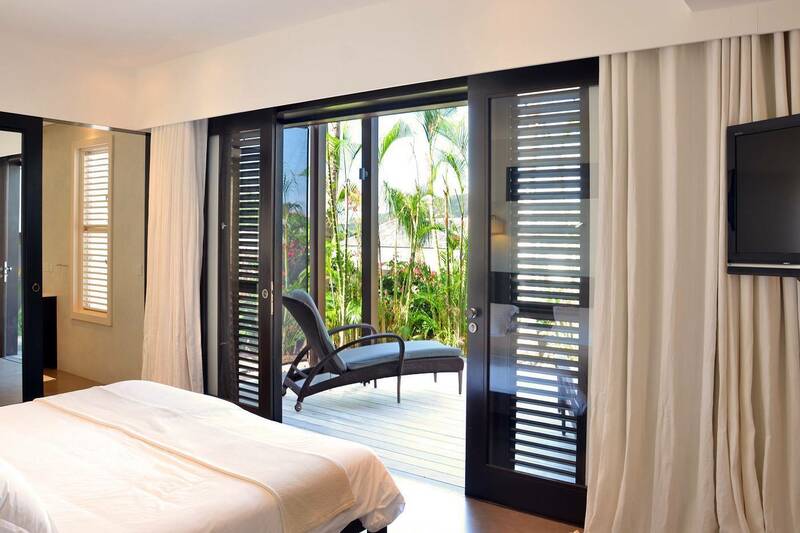 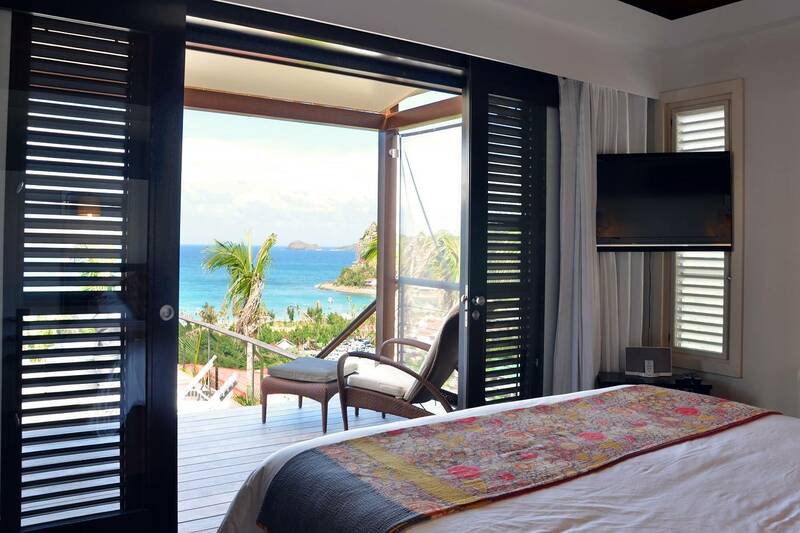 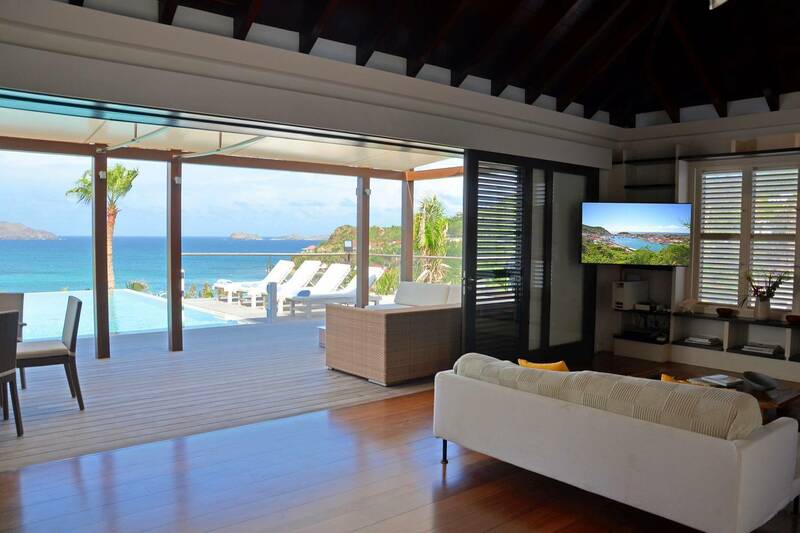 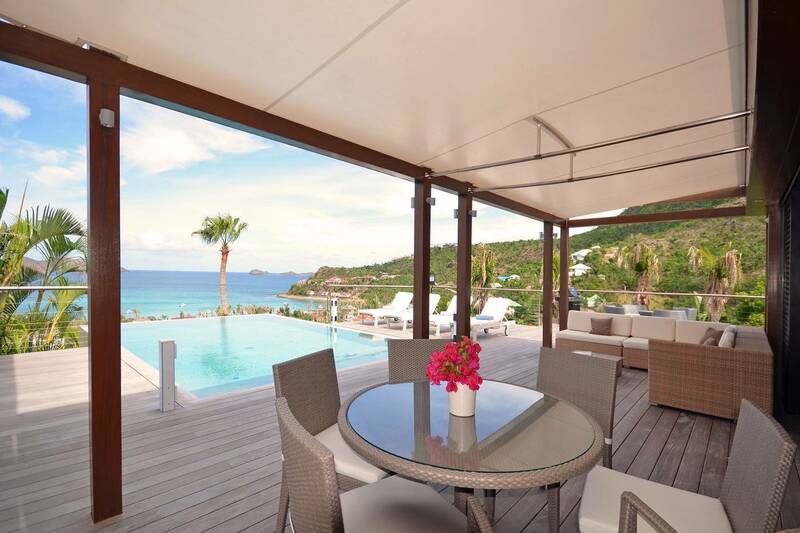 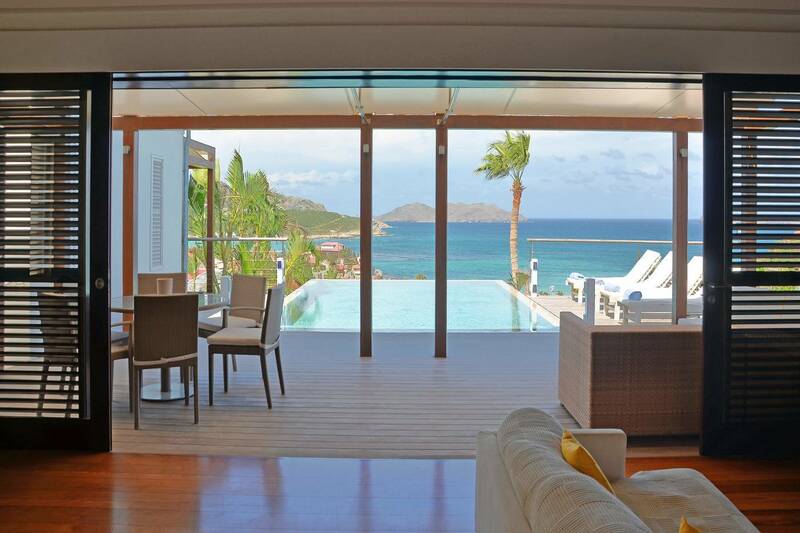 Poised hillside in popular St. Jean, this 3 bedroom villa offers casually elegant comfort making it ideal for a St. Barth villa vacation. 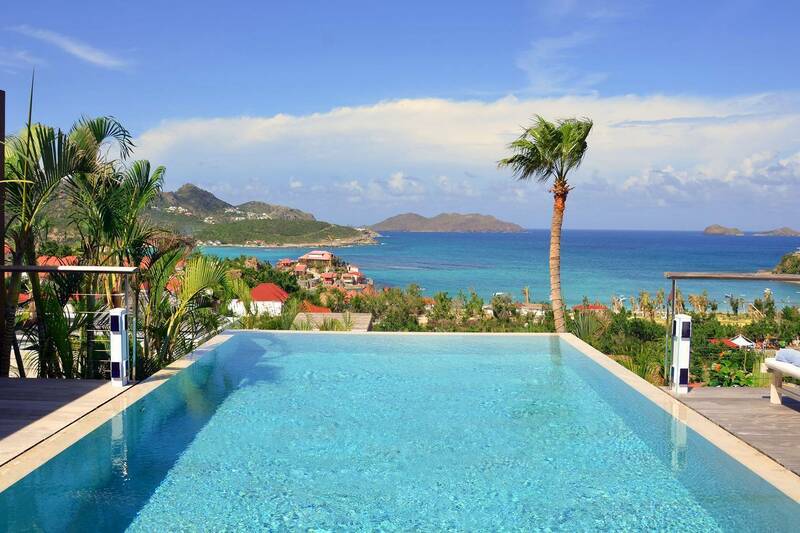 An infinity edge pool is the focal point of an expansive deck and is an optimum spot to relax – toes up – and take in the stunning views, delightful breezes and the sound of rustling palms. 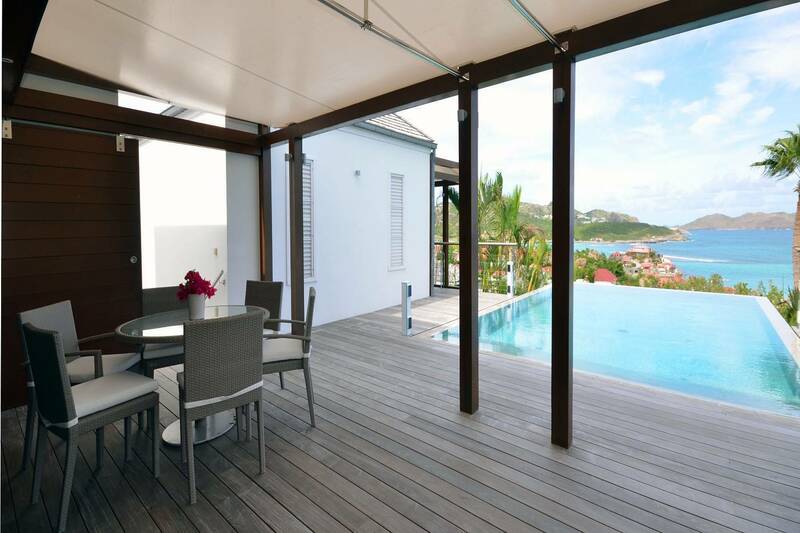 A pergola is comfortably furnished for outdoor living and dining. 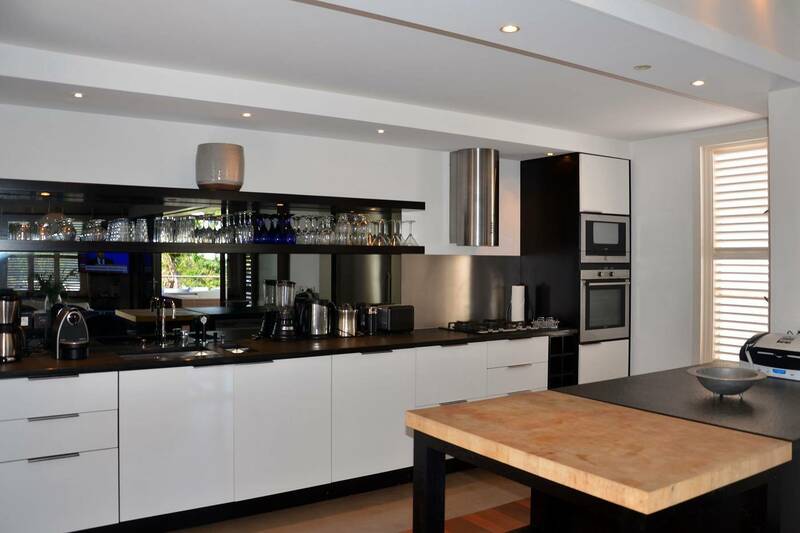 Compact and sleek, the kitchen is outfitted to please a gourmet cook. 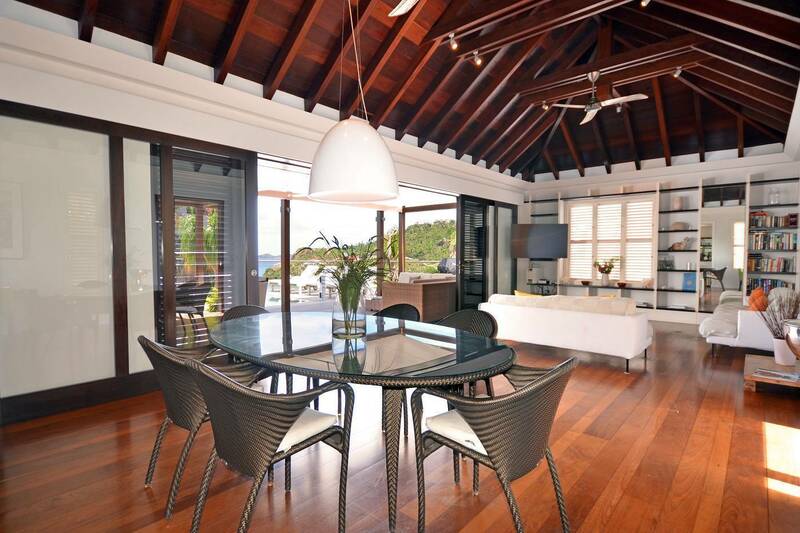 It opens to a dining area that flows into the living space - ideal for TV viewing (Apple TV). 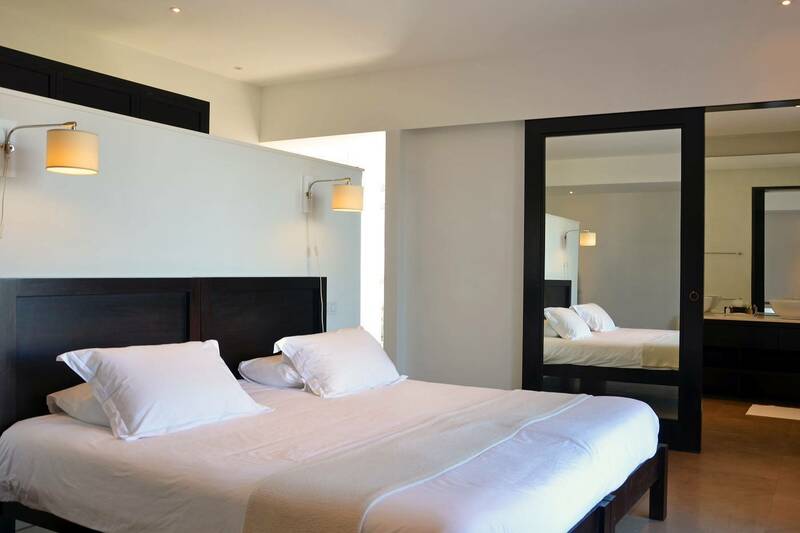 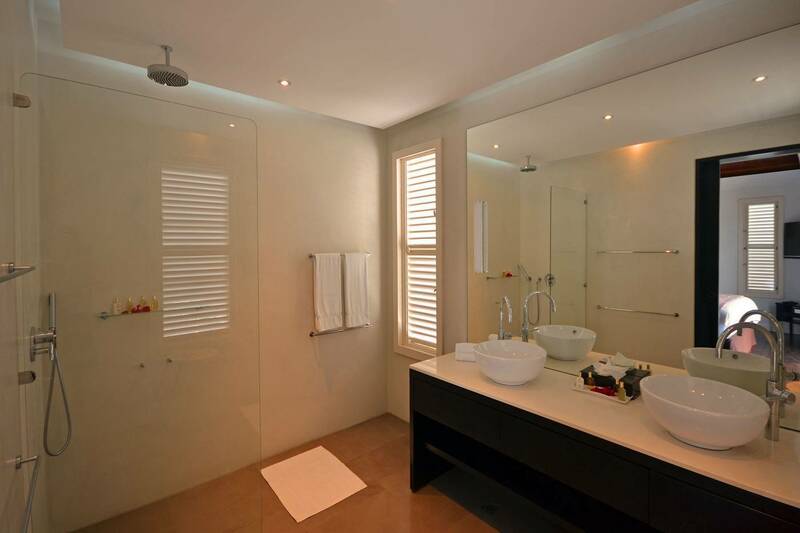 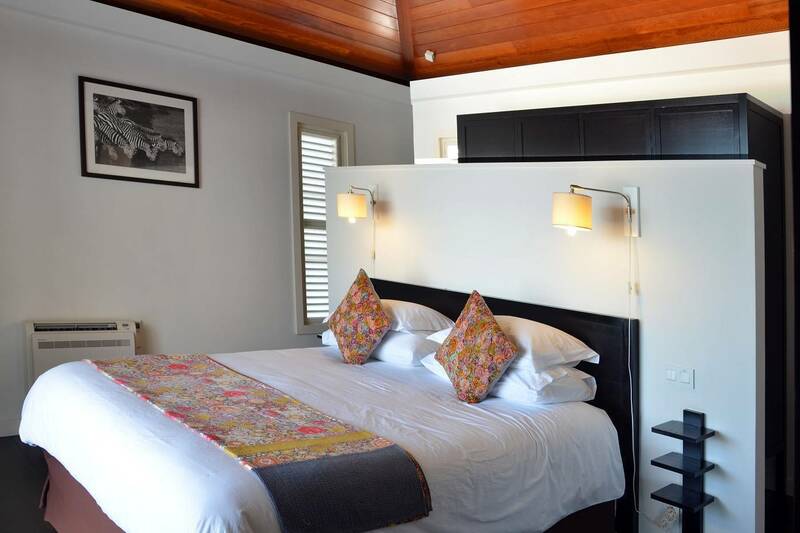 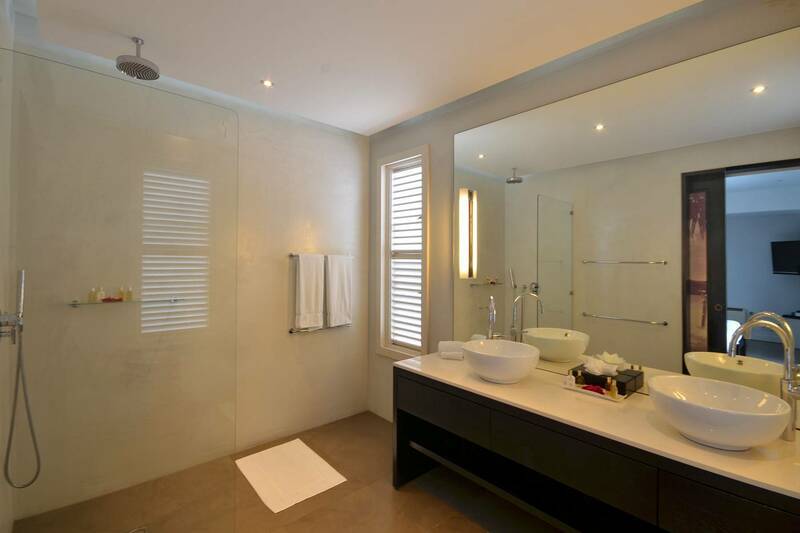 The 3 spacious air-conditioned bedrooms all have en suite baths. 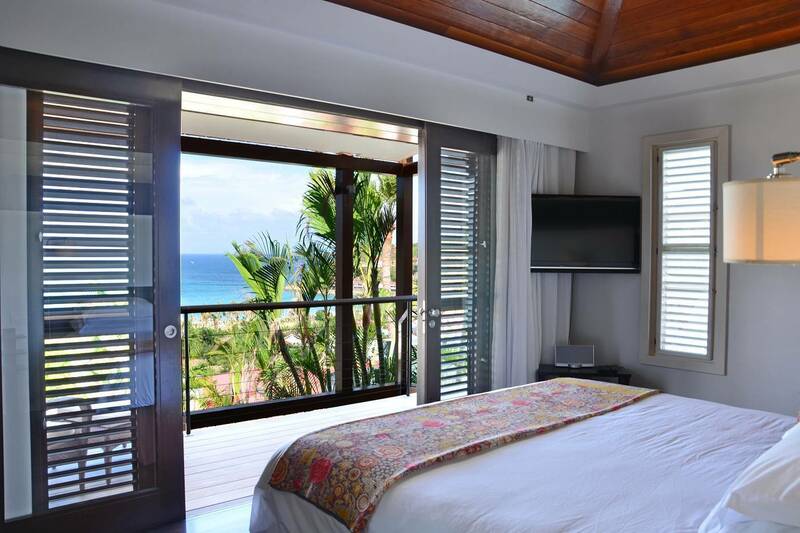 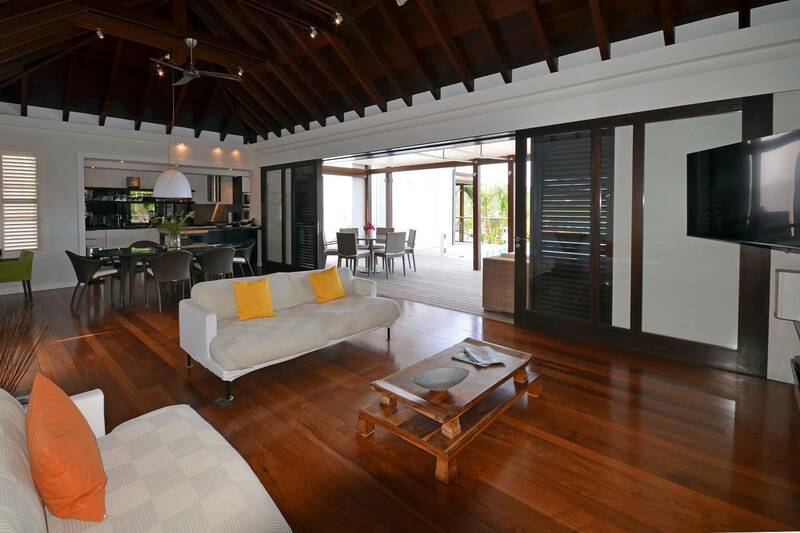 Two (with king beds) are at opposite ends of the villa; pool level, they boast ocean views. 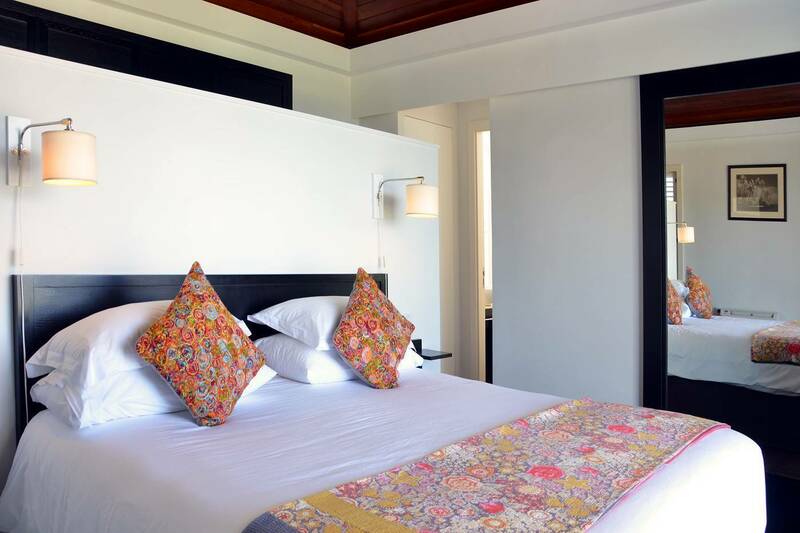 The third is lower-level (its king bed is convertible to twins) and has a garden view. 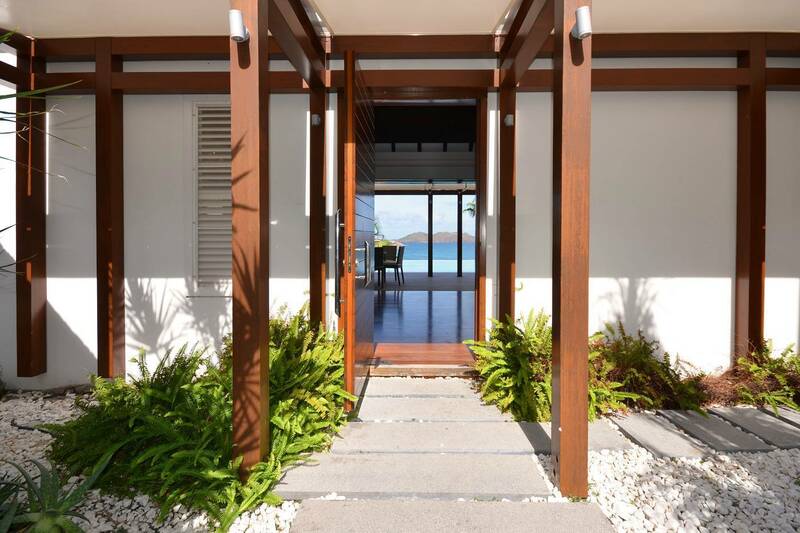 All are nice retreats.St.Jean Beach is just a short (but steep) walk away. 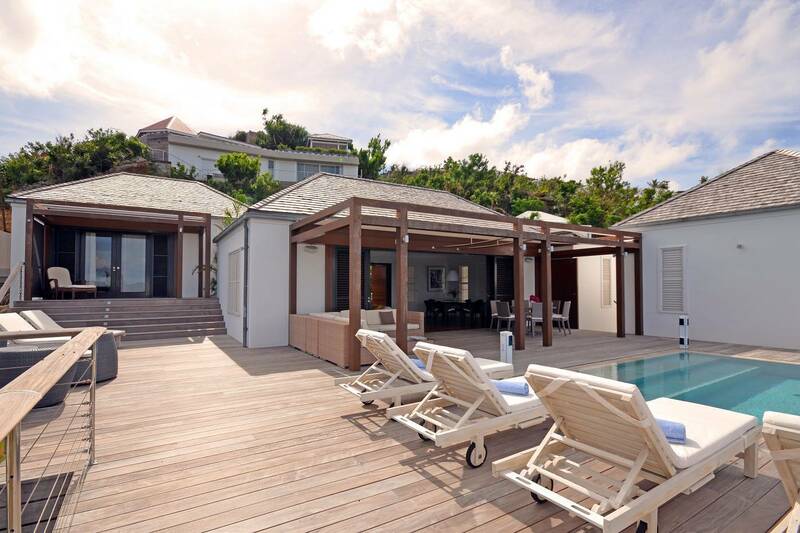 The poolside pergola with its expansive outdoor living and dining space. 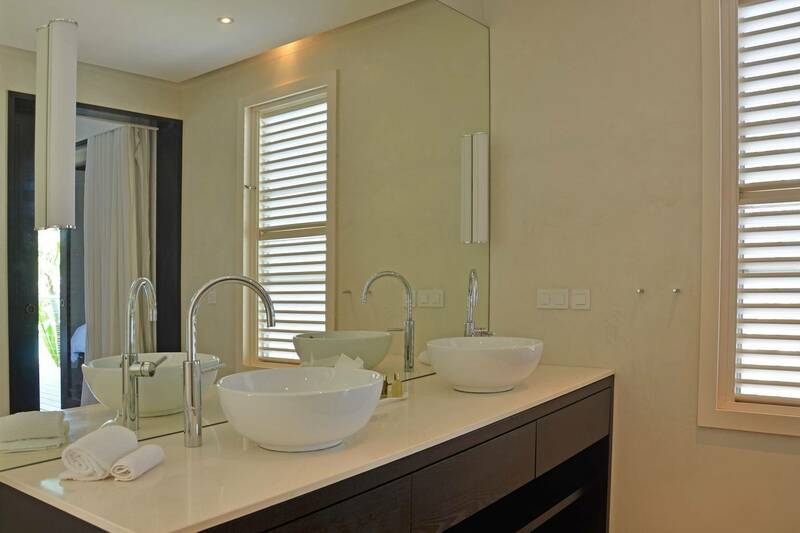 Contemporary and comfortable, with a sleek, compact kitchen; 3 en suite bedrooms, 2 pool level with ocean views and 1 lower level with a garden view.